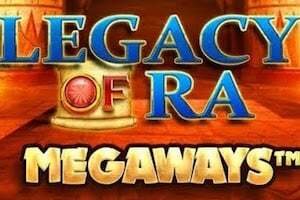 A Mid-West American-themed slot with 25 paylines, high variance and 12,000x potential in an unlimited free spins bonus round. There are also two pick-me bonus rounds, a fixed jackpot feature of up to 1,000x and ENHANCED reels in the free spins round to increase the opportunities for big wins. Play Mustang Gold with a 96.53% RTP, from 25p to £125 per spin. Where Can I Play Mustang Gold Slot? 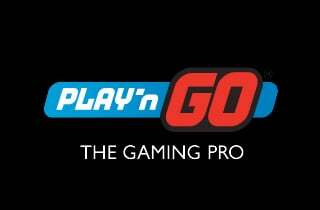 Pragmatic Play are another slot studio, like Red Tiger, Push Gaming, Quickspin and others, who are getting on board the high variance slot train set in motion by Big Time Gaming with their uber-high Megaways™ games. Which is great news if you’re into that kind of thing, as we are! In fact, we expect to see Pragmatic’s profile increasing in 2019, starting with this western slot, Mustang Gold, featuring cowboys and cowgirls, wild horses, and an unlimited cache of free spins for those lucky enough to make it to the bonus round (and you WILL need some luck). So, saddle up and let’s get into the action. The Mustang Gold game is set in a red-rock desert canyon, featuring tumbleweed and ranch-scenery and distant mountain ranges. The reels are set up in a 5×3 format with 25 fixed paylines to win on. There are four low value symbols in the game which are the cards, Ace, King, Queen and Jack. The premium symbols are the cowboy and cowgirl, the black horse and the white horse, which is the highest paying at 20x for five on a payline. There is also a wild – the game logo – which can only land on reels 2, 3, 4 and 5. It substitutes for all others and can appear as a full stack. Look out as well for the Camp Fire symbol which is the scatter and triggers the free spins when it lands 3 or more times on one spin. The Money Collect feature can appear at any time in both the base game and the free spins round. Here you are shown a new screen and you must collect horse shoes with cash values on reels 1 to 4 and ‘Collect’ sheriff’s badges which land only on reel 5. If you land horseshoes and collect badges on the same spin then you win the total value of the horseshoes. There are four fixed jackpots available in Mustang Gold. They are the Mini (50x), Minor (100x), Major (200x) and Grand (1,000x). To trigger any of these you will need to land a Jackpot Horseshoe symbol PLUS a Sheriff’s Badge collect symbol on one spin. When you do you’ll have to pick from a collection of horseshoes – match 3 jackpot symbols and you’ll win the corresponding jackpot. 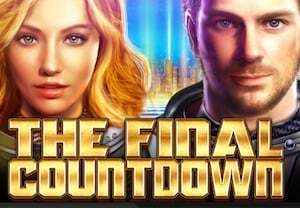 To enter the free spins round where most of the big money is you’ll need to land three scatters across reels 2, 3 and 4. The scatter is the campfire. This gets you 8 spins, and it is possible to re-trigger with the same combination during your bonus round an UNLIMITED number of times. The free spins round features ENHANCED reels. That means more horseshoes and sheriff’s badges are added to create more chances of hitting the Money Collect and Jackpot Reveal features. Mustang Gold is a simple slot. It doesn’t offer many features and for that reason if you get stuck in a run of dry spins, which can happen regularly, then it can become boring quite quickly. Like many high variance games it doesn’t pay out that regularly in the base game. However, if you’re prepared to sit through this and admire the red-rock landscape and the dinky western music whilst you wait there is some fun to be had by cracking the bonus round with its enhanced reels. So, if you’re that way inclined, stay with it and you could be on for a gold rush, just don’t expect it to come too soon!